Over 30 nurses and nutritionists from Kenya have successfully completed a seven-month Post Graduate Program in Pediatric Nutrition (PGPN) course developed and offered in association with Boston University School of Medicine (BUSM) and supported by Nestlé Nutrition Institute. Boston University and Nestlé Nutrition Institute launched the programme to help bridge the knowledge gap in pediatric nutrition as a means of addressing the rising cases of infant and maternal malnutrition in the country. This was with the realization that proper nutrition in the first 1000 days has a profound impact on the child’s ability to grow, learn and thrive and has a lasting impact on long-term health, Pediatric nutrition is a rapidly evolving area where new scientific advances are occurring at a rapid pace. 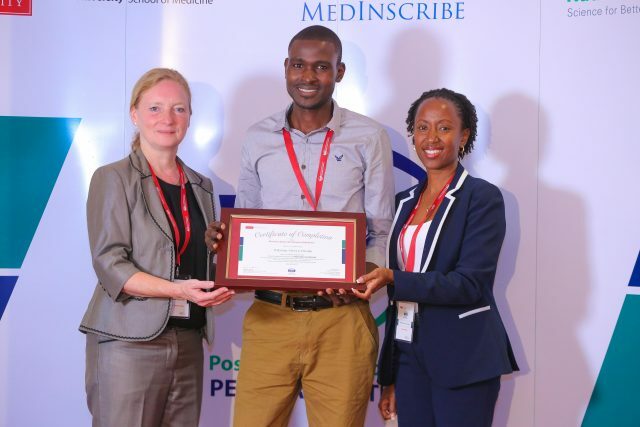 Over 100 healthcare professionals drawn from Kenyan public and private universities have gone through the programme boosting their ability to integrate pediatric nutrition into clinical practice to help in the fight against infant mortality and malnutrition. According to Kenya Demographic Healthy Survey 2014, infant mortality rate is 39 deaths per 1,000 live births and under-five mortality rate is 52 deaths per 1,000 live births while 26% of children under 5 are stunted (too short for age).